Piano Slam 9 - Complete Performance. Presented at the Arsht Center for the Performing Arts Knight Concert Hall on February 16, 2017. The mission of Piano Slam is to utilize music as a tool and inspiration to give our youth a voice through artistic expression. 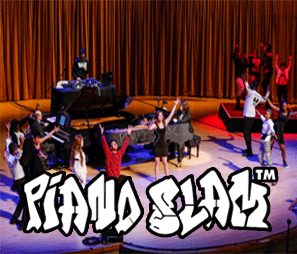 Piano Slam is a poetry writing competition that asks students to compose works of poetry inspired by their reactions to a selection of music, and, if they become a finalist, to perform their composition at our Piano Slam event at the Adrienne Arsht Center.